With all the summer fruits available fruits at this time, it is so easy to come up with fun desserts with Patriotic colors. You can make ice cream, cobblers, cupcakes, and much more. The choices are so endless that it was difficult to decide what to make on Independence Day. Since our dinner on July 4th consisted of hamburgers, I wanted to fix something light so cupcakes and cakes were out of the questions. Ice-cream, and sorbet would have been fun to do but since I wanted to spend more times out enjoying my day rather than spending time in the kitchen that’s when i thought of making tartlets. The tartlets that i proposed are made with raspberries and blackberries but you could easily substitute those fruits with different ones, even with blueberries and strawberries if you wanted to stay with the same color scheme. 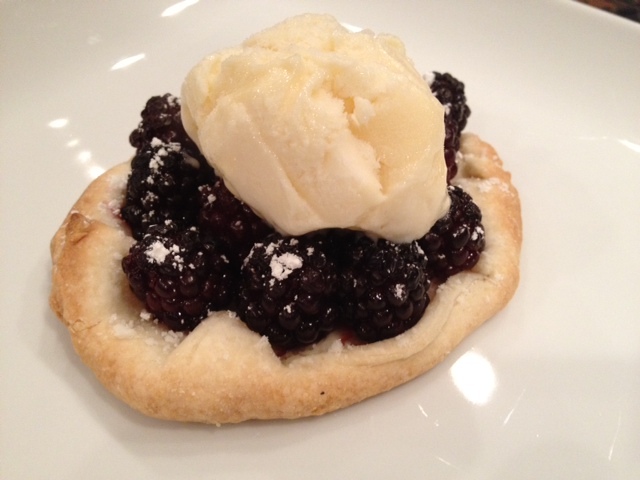 Ingredients for 8 small pies: 1 pie crust box ( 2 pie crusts are included), 12 oz of blackberries, 12 oz. 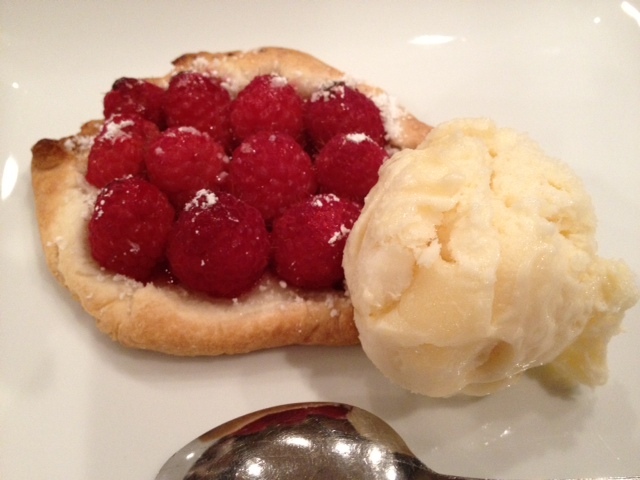 of raspberries, 8 tbsp of granulated sugar, 2 tbsp of butter melted. ice-cream of your choice ( i used vanilla). Remove the pie crust from its packaging. Tear each crust into 4 parts, and tear pieces off each of those parts so that each piece is slightly round. Take a large perforated sheet and place a large silpat on top of it. 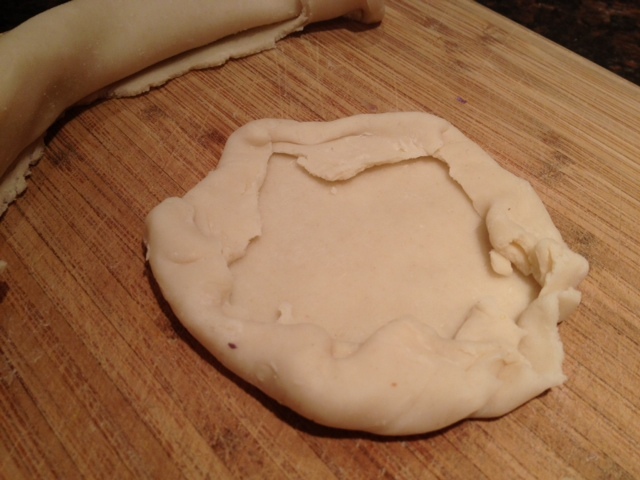 Place each circles of pie dough on the silpat at 1 inch interval. Fold the edges of each circles. With a pastry brush, brush the pie with the melted butter. Them sprinkle each circles with granulated sugar. 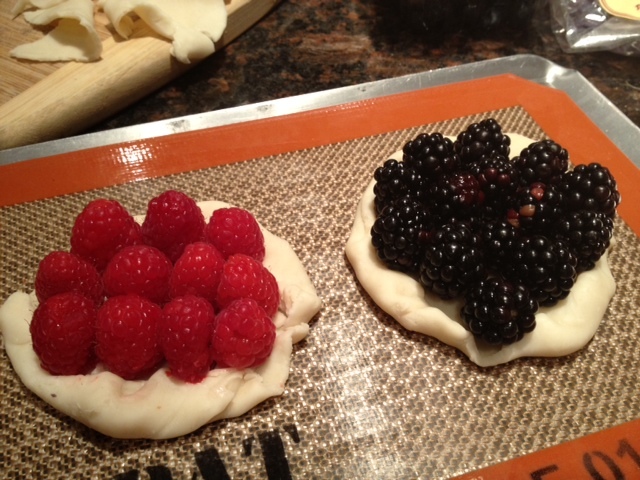 Top each empty pie crust with fruits as shown on the picture, and sprinkle with more sugar. Turn the oven to 400, and cook the pies for 15 minutes. 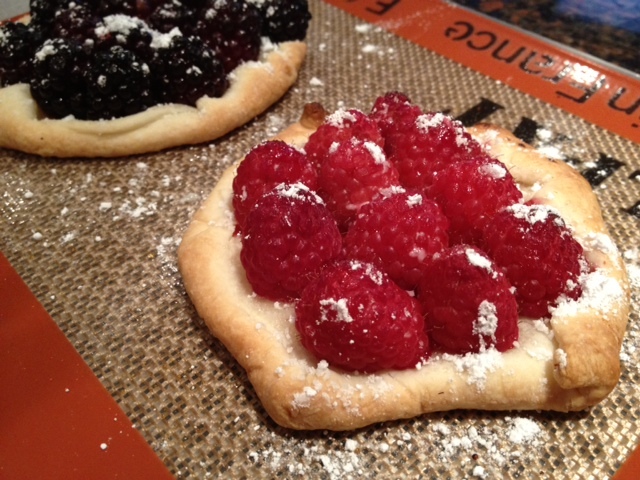 PLace the pies on your guests’ plates, sprinkle some powdered sugar. Add a scoop of ice-cream either on top of the pie or besides. Et voila!! !